crafty goodies: Handmade with The Curtsey Boutique! 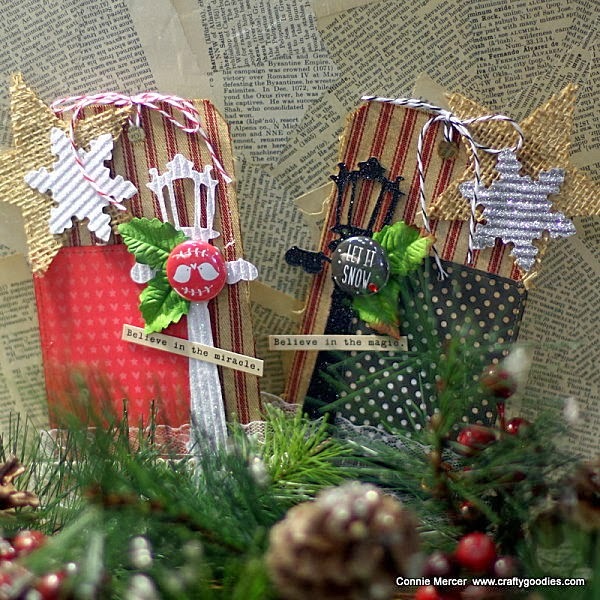 Christmas tags are OK for ornaments!! OH wow!! I love those and they'd totally make awesome ornaments. I can't wait to see your tree. Ohhhhhhhhh these are gorgeous!!! I love love love the stars and the lampposts!!!!! Tags are so perfect for the tree. Love how you made these. Fab burlap too! These are so beautiful and yes, perfect as tree ornaments! So pretty. 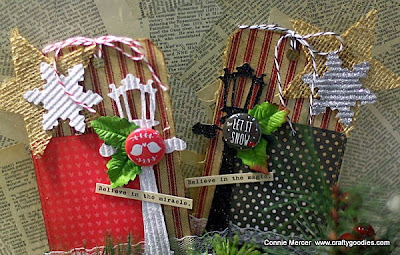 I have all my Tim Holtz tags I made when he did the 12 Tags of Christmas. I want to have another tree just to hang them. Maybe we can both meet our goal next Christmas.